The likes of Talking Heads, TV On The Radio and Vampire Weekend have all been influenced by the genre, and now it's making its presence felt on SampleRadar. The samples are split into three construction kits of different tempi (105, 110 and 118bpm). These contain drum, bass, guitar, keyboard and percussion loops. 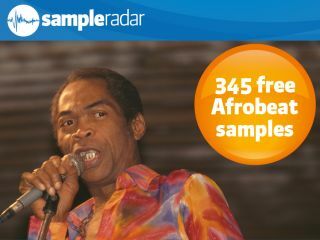 The Afrobeat samples are supplied in a zip file, so you'll need to extract them before you can see them. Enjoy!